The blogging bug eventually grabs everyone at some point. Whether it’s to boost SEO for your business website or to journal about your daily routine and share it with a public audience, blogging offers all sorts of opportunities. For example, some people blog for fun, seeing as how writing can be a rather relaxing and rewarding experience. Others are in it for the money, using paid forums, eCommerce stores, affiliate links and ads to supplement their income or go at it full-time. Regardless of your motives, blogging has never been easier. Setting up a blog in the past required a little bit of technical knowledge, but most platforms like WordPress and Blogger offer all of the tools you need to design your blog and publish articles in a completely visual interface. So, it’s time to learn how to start a blog in just a few minutes. A little bit of your time for reading this article, researching, and completing the installation. A domain name that makes sense (like Fancythemes.com). A hosting provider for placing all of the website files. You won’t have to know much about hosting, but you have to signup for an account and walk through the automated installation process. Now that you understand the elements that go into a blog, let’s walk through the steps to making it happen. Hundreds of hosting providers are available for you to research and choose from. Although we like several hosts, we’re going to use Bluehost for this tutorial. It’s affordable, secure, reliable and the support team is always great to speak with. 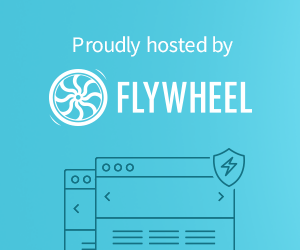 However, you might also think about looking at hosts like InMotion, SiteGround, WPEngine, Kinsta, or Flywheel (which is what we are using here at FancyThemes). All of them have decent reviews and I’ve had good experiences with all of them. That said, go to the Bluehost website and click on the Get Started Now button. Select the hosting plan you think is most suitable for your business. Most small blogs only need one of the cheapest shared hosting accounts. However, once you start to see more visitors you can consider upgrading for more performance. One thing to remember is that the listed pricing is the cheapest they offer. Everything must be prepaid for multiple years if you want that price. They do let you opt for three month pricing, but it becomes more expensive in the long run. Therefore, if you want that $2.95 price tag you must pay for three years in advance. After you decide on a hosting plan, it brings you to the domain registration page. Use the New Domain module and keep searching until you find a domain that you like and is available. You also have an area to transfer over a domain to Bluehost if you already own one. The next page asks for account information, which includes everything like your name, address, phone number and email address. Next, you decide on the package you want to go with. This is where you’ll see the prepayment options, so click on the one you want to commit to. They also have upsells like site backups, domain privacy protection and SiteLock security. These are all optional, but read through them to see if any interest you. The only one I occasionally recommend is the domain privacy, since it hides your email address and name so spammers can’t contact you. Finally, punch in your credit card information to complete buying your hosting account. The good thing about Bluehost is that it has a one-click WordPress installation button so you don’t need to complete the installation manually. Once you get logged into your Bluehost CPanel (or dashboard,) find the Website header, then look for the Install WordPress button. Click on that to move forward. This walks you through the entire process of installing WordPress onto Bluehost. It’ll ask you what username and password you’d like to login to WordPress, and it tells you the URL in which you can access the backend of the WordPress interface. These steps only take a few minutes, so follow the onscreen prompts to get everything rolling. Installing WordPress by itself doesn’t make your blog look beautiful. In fact, WordPress automatically installs a default theme that looks pretty bare-bones. 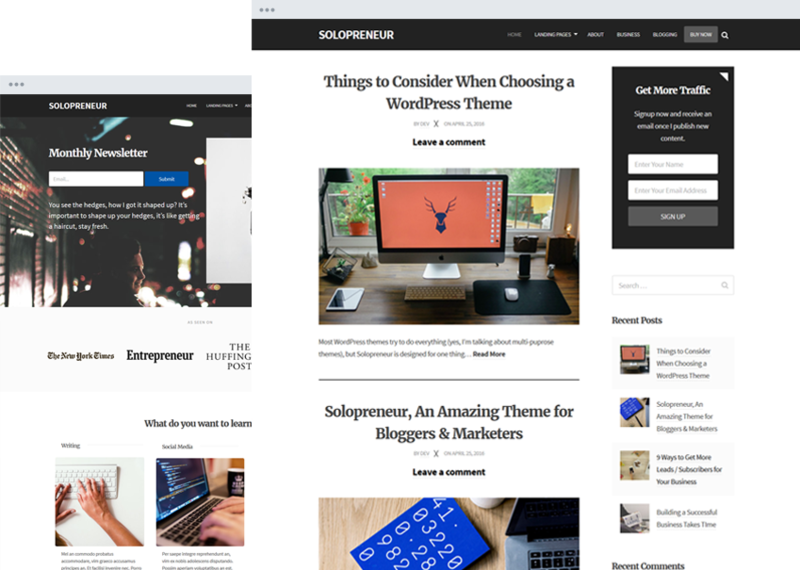 Some people really enjoy the default WordPress theme, but others are interested in more creative themes for making their brand look more unique. In that case you have a few options. You could find a free theme online or buy one from a premium theme developer. Free themes often look great, and most of them work well. However, some of them are poorly made and you don’t get much customer support since they are free. Premium themes always come with support, and you can look up reviews to see how they run for other users. After you find the theme you like, pay for it and download it (or download it if it’s free). This places it on your computer. Open up your WordPress dashboard and go to Appearance > Themes. Click on the Add New button at the top of the page, then select Upload Theme. Click on the Choose File button. This brings up all of the files on your computer. Find the .zip file where your theme is located and select it. This will show the file on your WordPress dashboard, where you can then click on Install Now. Make sure you activate the theme, but in general, WordPress does the rest for you. It will eventually show the theme listed in your theme list. Sometimes you have to make it as your Active theme. After that you can go to the frontend of your website to see what the theme looks like! Sometimes you have to go to the Menu area and make sure there’s a link to your blog, but most of the time the theme companies allow you to upload demo data, which customizes the theme for you and fills in some mock content for you to start with. The next step is to start your first blog post! This is the easy part, since you get to start talking about whatever you want. The WordPress interface is rather intuitive when it comes to writing, adding media and publishing your content. In order to begin a blog post, go to Posts > Add New. This brings you to a completely empty blog post creation page. You can fill in the Title area with the title of your choice. Then go to the editor to start writing your article. They have a full tool panel for inserting images, changing fonts, making headers and jumping back if you screwed something up. WordPress even provides some watered down spellcheck functionality. After you’ve completed your entire blog post I recommend adding a category and some tags so your posts are better organized on your blog. This way if someone sees that you make a bunch of blog posts in one category they can click on that to see every single post in that group. The last step is the hit the Publish button. You can then go to the frontend of your website to see the blog post published online! Some people only want a blog, and that’s it. If that’s the case, you’re completely done with this tutorial. However, one of the main reasons people choose WordPress is because of its extendability. WordPress has a huge collection of plugins for things like eCommerce, contact forms, design options, polls, forums and much more. You can even secure your site and implement caching to make it run faster. Even FancyThemes has a plugin! And That’s How to Start a Blog in Just a Few Minutes! The process behind making your own blog and getting published should only take you around 20 minutes. Sometimes you want to take it nice and slow, so feel free to take all of the time you need. Once the blog is installed and you have a theme plugged into WordPress you’re off to the races! You can keep creating new blog posts and distributing them to friends and readers. Who knows? You might become so popular that you can quit your job and become a full-time blogger! If you have any questions about how to start a blog, share your thoughts in the comments section below.